Here is my take on FTL199. I included several challenges when creating this card: Cas-ual Fridays CFC61to use strips of color; LIM76 to create a One Layer Card and to use three of something; and DD11 - Dynamic Duo subtle colors - to use Pink Pirouette and Baja Breeze. Love, love this CAS precious card! 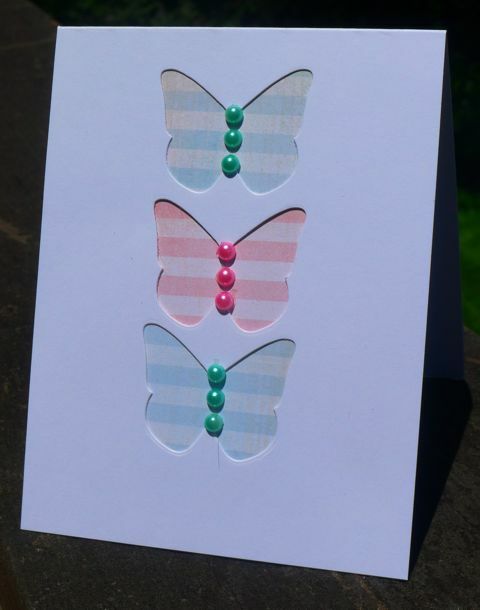 Pretty card- thanks for sharing! SOOO pretty! Love the stripes and the matching pearls! Wow factor! Simple, clean but co pretty! This is awesome Harriet. Love the DP behind the punches.